So who are they? On this page we will look at who they are. There are three ways in scripture to become a son of God. It is only Adam who was created directly by God that is called the son of God. Others are all listed as the sons of their earthly fathers. Not even Jesus is here listed as a son of God because He was not a son of God by virtue of being born on earth. Rather, He existed before the incarnation. Think of it - if God sent His Son to earth He had to have a Son to send. Just as He was about to leave Heaven and begin His mission to planet earth His Father did not say to Him something like: "I will see you back here in about 33 years, now go and become my Son." No; it would have been more like: "My Son, go now and you will rejoin me here in about 33 years." So who are the "sons of God" and could they possibly relate to the 24 elders of Revelation 5? There are three types of uses of this term in scripture. This and other verses in the New Testament speak of the adoption mentioned of above. Two uses speak of the sons of God becoming involved with the daughters of men. This is a different use that will be spoken of on another page. Satan came "among" the sons of God or as though he was part of this group. There is no verse ever calling any angel a son of God. Indeed the Lord seems to challenge his being there. He asks "Whence comest thou? (verse 7)" or "where did you come from?" or "what it your position that gives you a right to be here?" God knows perfectly well where He came from - He doesn't need to ask to be informed; it is more of a challenge. 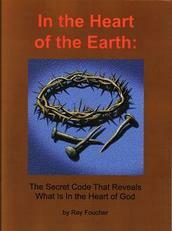 This is a way of stating his claim of ownership of the earth. It's what a person does when they acquire a new piece of property; they walk around in it to check it out - I have done it several times. It may also be a way of justifying his presence there - after all, that was the question. As prince or ruler of this world (John 14:30) he did indeed have some right to appear as its representative. That God is challenging Satan's right to be there as the representative of Planet Earth is even more evidenced by His then drawing attention to Job, "a perfect and an upright man (verse 8)" - perhaps he could represent earth. Obviously, the meeting recorded in Job 1 is not happening on the earth as that is where Satan came from to get there. In chapter 2, he again comes from the earth to another gathering with this same group before the Lord. As we saw above, in the genealogy of Luke, it is only Adam, the first man on the earth, who is called a son of God. Is it possible that the sons of God mentioned here are the equivalents of Adam - the first or representative men created on each of their respective worlds? Wouldn't that require that there are other populated planets with intelligent life; in fact, people who send representatives to heaven to take part in the government of the Universe? If the angels came. Satan, as an angel, would be among them and there would be no need to say "Satan came also." Here is another use of "sons of God:"
The context is the creation of the world. The idea is that two separate groups - the morning stars (the angels) and the sons of God (the representatives of other worlds) - were both joyful at the creation of a new planet. I have often said to our study group that God's ultimate purpose is to make as many people as possible as happy as possible for as long as possible. Could God have made other inhabited worlds? Absolutely. Estimates are that there are 100 billion galaxies in the universe with 100-200 billion stars in each. This brings up the question, could there actually be other inhabited planets (part 3 of this study) in the universe? Note that the word "universe" is derived from "one voice" in reference to the voice of God by which all things were created.